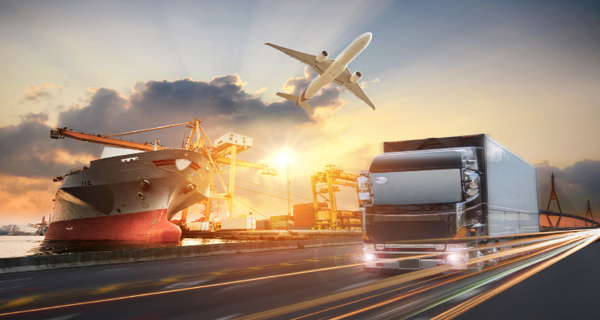 As transportation becomes a larger portion of overall logistics costs, supply chain professionals are taking the wheel to stay on course. Transportation costs increasingly account for a greater percentage of total logistics costs within many supply chains. Indeed, transportation costs as a percentage of total logistics costs rose from about half in 1980 to almost two-thirds by 2017, according to information from The Geography of Transport Systems (Fourth Edition) by Jean-Paul Rodrigue, professor in the Department of Global Studies and Geography at Hofstra University, New York. The reason for this shift? Lengthening supply chains and accelerating throughput within many warehouses mean raw materials and finished goods spend less time on shelves and more in transit. "Goods spend more time on the move, and thus as part of transportation costs rather than warehousing expenses," Rodrigue says. On top of these shifts, capacity in many transportation modes has tightened. The truck driver shortage has been among the top three critical issues facing the North American trucking industry for 12 of the past 14 years, finds a recent survey by the American Transportation Research Institute. The shortage reverberates beyond the trucking industry, as many shippers turn to other transport modes to move their goods quickly and efficiently. As 2017 was ending, multiple industry trends—capacity constraints, driver shortages, and truckload and intermodal rates—were driving up transportation costs for beverage distributor Southern Glazer's Wine & Spirits (SGWS). "We needed to get proactive to ensure our loads continued to move uninterrupted," says Bobby Burg, senior vice president of operations and chief supply chain officer. To mitigate double-digit increases, Burg and his colleagues focused on carrier relationship management by initiating the procurement process earlier and streamlining the number of transportation partners. "We negotiated volume commitments, leveraging our size and scale," he says. These actions allowed SGWS to build stronger relationships with its transportation partners, who were able to plan asset utilization with greater predictability, reducing their operational expenses and improving return on investment. They also allowed SGWS to secure the capacity it needed to keep inventory moving. "Our core transportation partners increased on-time performance into our distribution facilities," Burg says. "And we have been able to contain transportation expenditure within our budgeted targets." Some shippers save money and streamline processes by linking their systems with their carriers. One example is Dover Global Sourcing (DGS), a function within diversified manufacturer Dover Corporation. DGS manages truckload, LTL, parcel, air, and ocean freight globally. Due to product mix complexities, global shipping locations, and multiple ERP systems, creating a carrier bid every few years that accurately portrays the requirements of Dover's operating companies by mode "is challenging," says Mike White, transportation category manager. Going forward, Dover is using a third-party tool that functions as a data repository with direct feeds from suppliers. While implementation will continue into 2019, the tool has already shortened the typical bid process. And Dover is able "to continually identify and capture savings opportunities," White says.